The craft of stone masonry seems to be dying since there is little demand for traditional handicrafts in the modern building industry. Yet, the historic walls that crisscross the landscape in Gotland, Western Estonia and many other stony regions of the world are an important part of our heritage and certainly worth maintaining. Some of them are declared historic monuments, others not—but they all need looking after. In September 2012 students and teachers from Estonian Academy of Arts in Estonia, Novia University of Applied Sciences in Finland and Campus Gotland at Uppsala University gathered in Visby for the first of ten intensive courses within the project Traditional Wooden and Masonry Structures in the Baltic Sea Region. This time over 300 meters of stone walls were restored. Many thanks to Joakim Hansson, who organised the course, and master masons Tage Wickström and Nils–Erik Hallbom, who lead the hands–on work. Couple of images with regards to the Sustainable Heritage Intensive Course on Gotland attended by Swedish, Estonian and Finnish students during a week in September of 2012. Photos taken by Elle Lepik, Sille Siidirätsep and Mariliis Vaks. 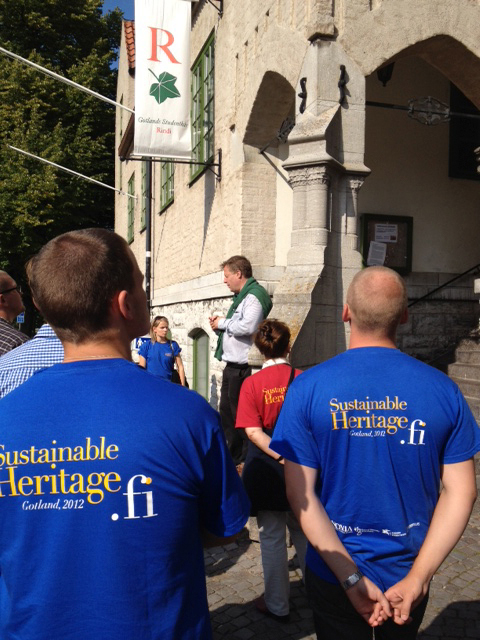 Picture 1: Briefing by Prof. Joakim Hansson during a Walk through Visby, Gotland, September 11, 2012. Picture 2: Old stone walls marking the borders on Gotland. Photo by Sille Siidirätsep, October 25, 2012. Picture 3: Woodpile on top of the stone wall in Koguva, Muhu. Photo by Sille Siidirätsep, September 30, 2011. Picture 4: Work in progress: a pile of branches. Photo by Sille Siidirätsep, October 25, 2012. Picture 5: A pile of limestones. Photo by Mariliis Vaks, October 26, 2012. Picture 6: A pile of rumble (granite) stones. Photo by Mariliis Vaks, October 26, 2012. Picture 7: Types: rubble stone wall on Gotland. Photo by Mariliis Vaks, October 25, 2012. Picture 8: A well–laid limestone wall. Photo by Mariliis Vaks, October 26, 2012. Picture 9: A view onto the top of the first layers of limestone wall. Photo by Mariliis Vaks, October 26, 2012. Picture 10: Working methods: laying up a mixed type of stone wall. Photo by Elle Lepik, October 25, 2012. Picture 11: History: burial cairn at Vallhagar. Photo by Elle Lepik, October 25, 2012. Picture 12: History: limestone quarry on Gotland. Photo by Elle Lepik, October 25, 2012. Picture 13: History: sandstone quarry on Gotland. Photo by Elle Lepik, October 25, 2012. Picture 14: History: sandstone quarry on Gotland. Photo by Elle Lepik, October 25, 2012. Picture 15: Types: limestone wall. Photo by Elle Lepik, September 10, 2012. Picture 16: Types: cross–section of a limestone wall; view 1. Photo by Mariliis Vaks, September 10, 2012. Picture 17: Types: cross–section of a limestone wall; view 2. Photo by Mariliis Vaks, September 10, 2012. Picture 18: Types: cross–section of a limestone wall; view 3. Photo by Mariliis Vaks, September 10, 2012. Picture 19: Types: sandstone wall on Gotland. Photo by Elle Lepik, September 10, 2012. Picture 20: Types: mixed type of stone wall. Photo by Mariliis Vaks, October 25, 2012. Picture 21: Types: a newly–laid (restored) gate–post in mixed stones technique. Photo by Mariliis Vaks, October 26, 2012. Picture 22: Types: a wooden fence with a ladder on Gotland. Photo by Elle Lepik, October 25, 2012. Picture 23: Types: a wooden fence on Gotland. Photo by Elle Lepik, October 25, 2012. Picture 24: Types: a limestone wall with a wooden fence on top. Photo by Elle Lepik, October 25, 2012. Picture 25: A wooden gate on Gotland. Photo by Mariliis Vaks, October 26, 2012. Picture 26: Tools: electric saw. Photo by Elle Lepik, October 25, 2012. Picture 27: Tools: electric saw. Photo by Sille Siidirätsep, October 25, 2012. Picture 28: Tools: iron (crow)bar. Photo by Sille Siidirätsep, October 25, 2012. Picture 29: Tools: lopers. Photo by Sille Siidirätsep, October 25, 2012. Picture 30: Cutting weeds and brush down to size. Photo by Mariliis Vaks, October 25, 2012. Picture 31: Work in progress. Photo by Mariliis Vaks, October 25, 2012. Picture 32: Work in progress: cutting weeds and brush down to size and collecting the stones. Photo by Sille Siidirätsep, October 25, 2012. Picture 33: Cutting the junipers. Photo by Elle Lepik, October 25, 2012. Picture 34: Building up a stone wall. Photo by Sille Siidirätsep, October 25, 2012. Picture 35: Laying up a rumble (granite) wall. Photo by Mariliis Vaks, October 26, 2012. Picture 36: Digging up the stones. Photo by Sille Siidirätsep, October 25, 2012. Picture 37: Working methods: using an iron bar when lifting a stone. Photo by Mariliis Vaks, October 25, 2012. Picture 38: Working methods: First line must be done from the biggest stones—do not use medium shape stones for the start. Photo by Mariliis Vaks, October 25, 2012. Picture 39: Working methods: lifting a stone is a hard work. Photo by Mariliis Vaks, October 25, 2012. Picture 40: Working methods: iron bar is a help when moving and lifting a boulder. Photo by Mariliis Vaks, October 25, 2012. Sustainable Heritage Intensive Course No. 1: Stone Walls in Visby, Gotland (Sweden), 9.–15.9.2012; Nordplus Framework Programme 2012–2016, Traditional Wooden and Masonry Structures in the Baltic Sea Region—Intensive Course within the Field of Building Conservation. First part of film: wall building with Frida Nordström, Lisa Johansson and Maja Lofteskog from Gotland University, together with Johanna Lamp, Sille Siidirätsep and Elle Lepik from Estonian Art Academy. Second part: wall building with Jonathan Nylund, Erik Björkqvist and Thobias Danielsson from Novia University of Applied Sciences. Third part: wall building with Janne Nykänen, Tomas Simons, Erik Lindström from Novia University of Applied Sciences.